Please follow these instructions carefully to insure that your entry is processed. 1. Each entry must include two samples. Please note, samples will not be returned. Prototypes and galleys are acceptable as long as they are fully functioning and will be available through retail outlets. 2. Include the appropriate number of completed entry forms. Please include one full set of entry forms and supporting materials (press releases, etc.) per sample. For example, you need to send two copies of your book, plus two sets of entry forms, one for each copy of the book. Entries will not be accepted without the total payment in U.S. funds (see payment page). Please include the payment on the entry form. All entrants will receive confirmation that their entry has been received by PCA. Judges’ feedback and/or evaluations will not be released. Winners of Publisher's Choice Awards electronic images to utilize. 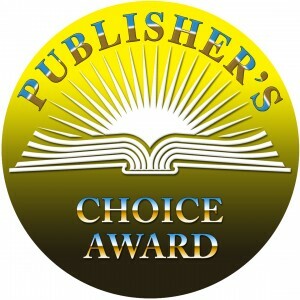 Award winners will be featured on familychoiceawards.com for one year. Books must be available to the public. There are no restrictions on the release year of the product. Items that are part of a series must be submitted and paid for individually. A series cannot constitute a single entry. For questions about what constitutes a series, please contact PCA. Please keep a copy of these directions, plus copies of your payment and entry forms, for your records. Please attach description. 300 words or less. company, whom do you want listed if the product wins?